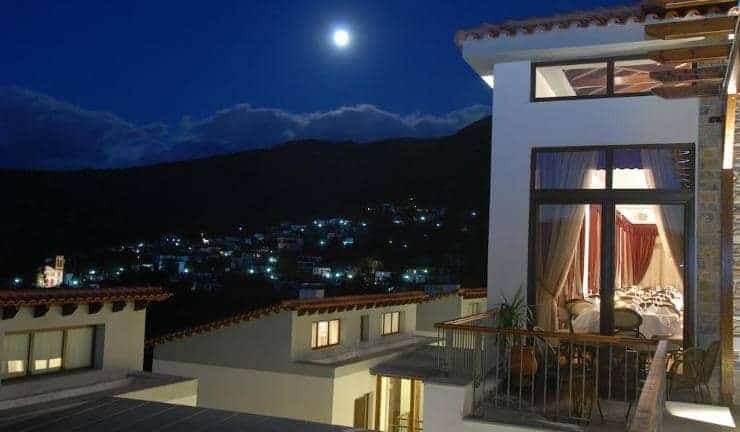 Traditionally built Hotel Kouria is situated on the slopes of Mount Kissavos, in the historical village of Ambelakia. It features a restaurant with a wine cellar and rooms with a balcony overlooking the fir tree forest. Rooms at the Kouria Hotel are decorated with dark wood furnishings and wooden floors. All units offer free Wi-Fi and a TV. Each is equipped with air conditioning and a fridge. A buffet breakfast is offered in the dining room that overlooks the scenic village. The hotel restaurant serves traditional recipes using local ingredients and a big variety of wines. Guests can relax with a coffee or drink at the stylish bar with the leather sofas. Staff at the 24-hour front desk can offer information on activities the area has to offer such as mountain biking. Restaurants and cafes are within 500 m while the Vale of Tempe is 5 km away. Free private parking is possible on site.